This is the book that launched Abseits!! A seminal work in soccer literature. The main weakness of this book is that you need an extra 1,000 pages. Perhaps Rough Guide will expand to individual country or regional volumes, in which case that need will be met. 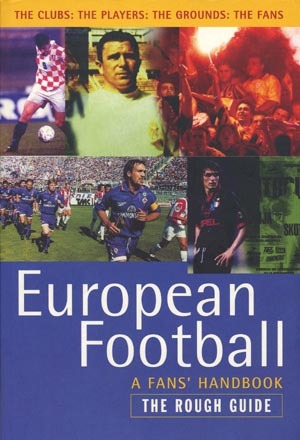 This is basically a survey of European Football, country by country, with brief chapters on the history and profiles of the major clubs. The authors usually pick the largest cities in each country, and thereby manage to capture some info on the smaller clubs in the metropolis as well. Because the survey is less focused and detailed, it's not as good as the Rough Guide's English Football, but it's still superb.